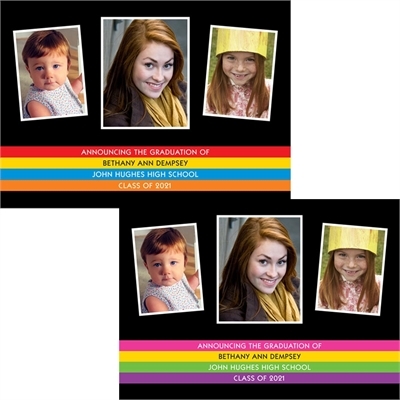 Choose from bright or pastel stripes for this Graduation Photo Announcement. We will add three photos of your graduate to this announcement. These Graduation Photo Announcements are 5 inches by 7 inches and come with white envelopes. Proofs: You will receive a proof of your Graduation Photo Announcement by email within 2 business days. Minimum order is 30 announcements. 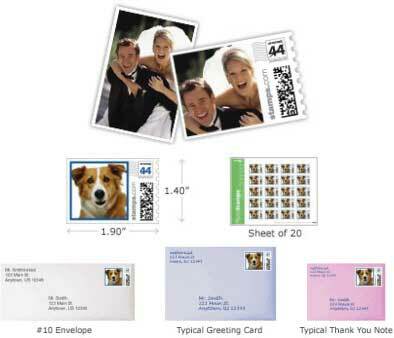 Photo Stamps Perfect for a photo invitation! 2019 Graduate Full Body Photo Cutout A wonderful custom graduation party decoration made from the photo of your graduate!